The HNHH brass have assigned me the near-impossible task of narrowing down Curren$y's catalog to 10 tracks. Though Spitta has not always released one mixtape per month as he did in 2016, he has put out nearly 50 projects over the course of his career, and due to his hyperconsistency, separating the wheat from the chaff is a tall order indeed. I've chosen to focus on what many fans regard as his peak, from 2009 (This Ain't No Mixtape) to 2012 (Stoned Immaculate). 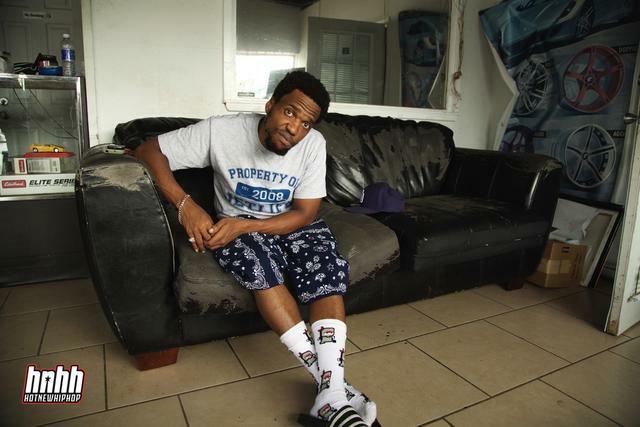 Read Curren$y's HNHH digital cover story here. Click through the gallery to listen to 10 of his most essential tracks. 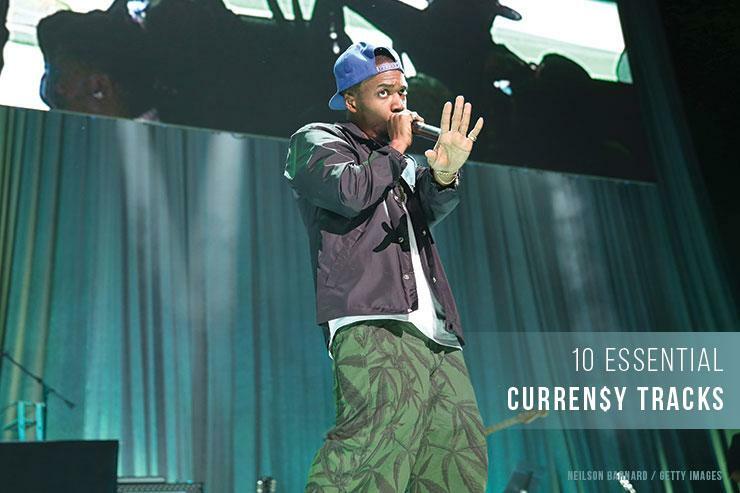 Though Curren$y never seemed especially concerned with crafting timeless hooks, he has produced a few memorable ones over the course of his career. Most notably: "Elevator Muzik," the hook of which is impossible not to rap along with. "This is elevator musik..."
The first (and best) song on Curren$y and Wiz Khalifa's joint mixtape How Fly, "Car Service" is simultaneously smoothly triumphant (like much of Spitta's music) and aspirational. It opens with a stirring call to action from Wiz: "Tryna keep my pockets on Schwarzenegger!" February 7th, 2010 was the greatest day in New Orleans history. The Saints won the Super Bowl, and Curren$y released arguably his best mixtape, Smokee Robinson. Gucci Mane's "Lemonade" has yielded a high number of remixes since its release in 2009. (The beat is just irresistible!) Perhaps no remix is greater than Curren$y's, which couches a particularly furious flurry of lyrical missiles within a decidedly lo-fi mix. At the heart of Curren$y's discography sits his 2010 album Pilot Talk, and at the heart of Pilot Talk sits the single "Address," which succinctly sums up Spitta's charm: ultra-smooth ("Spending yen on a 'Vette") and consistent ("ain't nothing change but the address"). Listening to "Breakfast" once is enough to convince any rational listener to impulsively buy a ticket to somewhere in the tropics. The serene horn sample evokes a breezy sunset -- or perhaps a sunrise, and a morning joint to match. Five months after releasing Pilot Talk Curren$y released another classic: Pilot Talk II. Not since DMX has a rapper released two albums of such quality in the same year. On a semi-related noted, this real-life airborne aquarium is a must-watch. 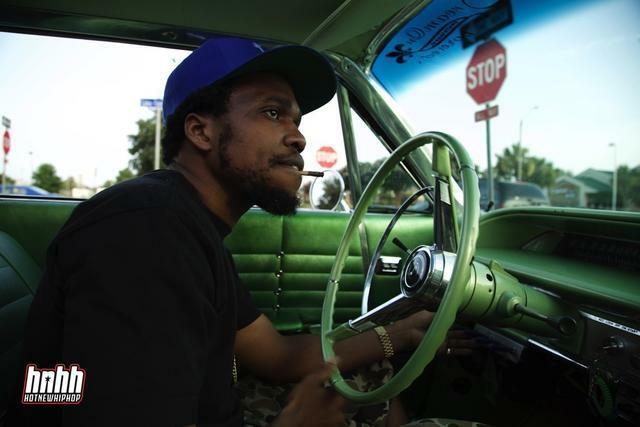 Though Curren$y had worked with producers on entire projects before (Ski Beatz, Monsta Beatz), his Covert Coup collaboration with Alchemist explored a grimy sonic world that gave his unique brand of Southern rider music a refreshing mafioso flavor. "Don't concern themselves with them sucka dealings..." Spitta mutters at the top of the track. Never before has a phrase more succinctly encapsulated a man's M.O. than this. I separated, elevated, get salutation"
Within the borders of Curren$y's cozy rap universe, all rappers bow to the sovereign king.